Ancient Current – Page 3 – Martial Arts & Traditional Healing for Higher Vibrational Living. Chances are if you are reading this then you are probably all too familiar with migraines. I will spare you the list of painful symptoms and focus on a Traditional Chinese approach to both the understanding and the treatment of migraines. I’ve noticed that most people suffering from migraines are incredibly in tune with the nature of their specific migraine and have a ritual to cope. The migraine type of pattern has been documented and analyzed for over 3000 years with the advent of Traditional Chinese Medicine. Characteristic of the migraine is the unilateral throbbing headache that wraps the lateral side of the head. Interestingly, in Traditional Chinese Medicine one meridian, the Gallbladder Meridian, wraps the lateral side of the head and travels down the lateral portion of the body culminating at the foot. 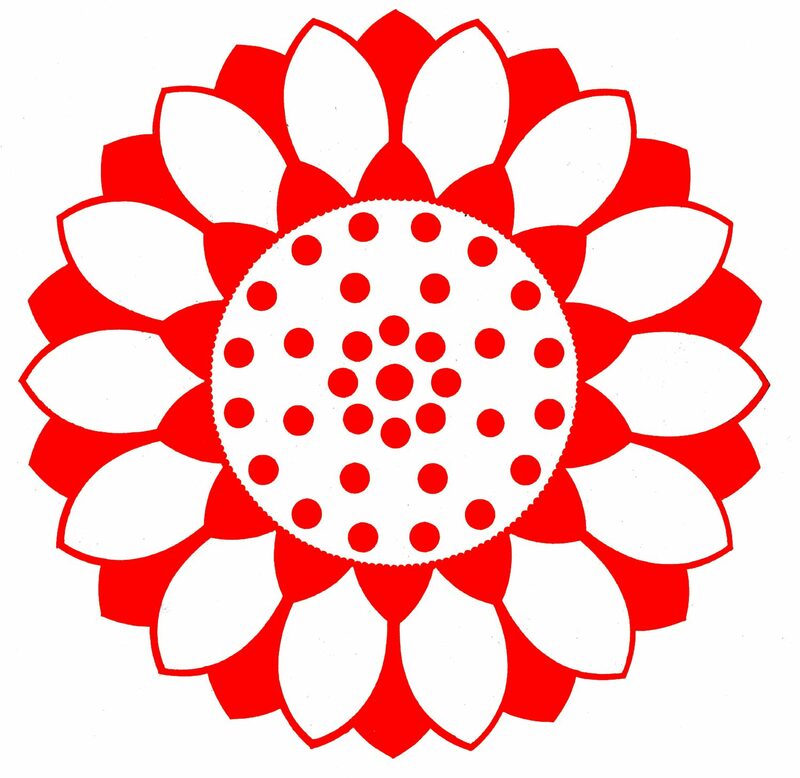 Meridians are essentially lines that traverse the body and distribute Qi or energy. The Gallbladder meridian is most often treated to alleviate migraine symptoms and correct the root of the disharmony. The Gallbladder Meridian is a paired meridian with the Liver meridian. 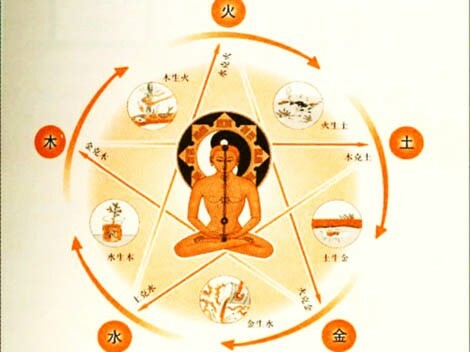 The two together comprise what is known as the Wood Element, which is one of the 5 Elements discussed in Traditional Medicine that connects the external world with the individual. The other elements expressed within the body are Metal, Earth, Water and Fire. 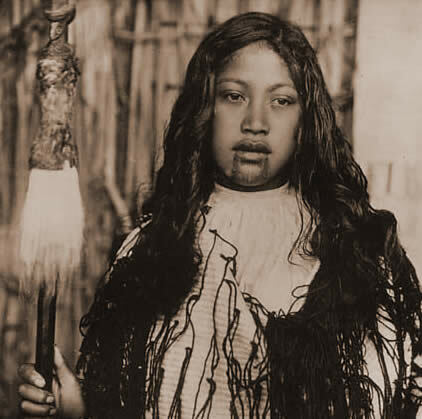 Numerous traditional cultures including Indian, Tibetan, Persian Norse, and Native American healers utilize knowledge of the elements in diagnosing and treating illnesses in people. Humans are a living microcosm of both the Heavens and the Earth. 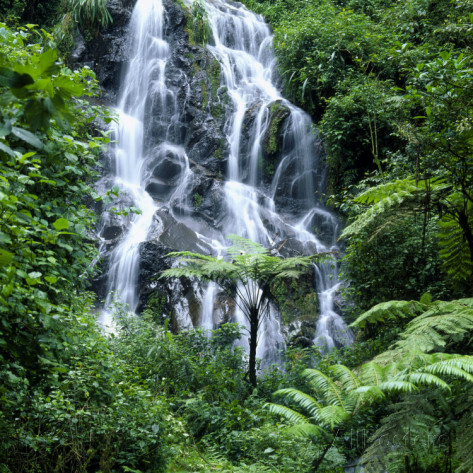 Rivers are reflected in the body through the meridians as well as the flow of blood through the vessels. The Liver and Gallbladder correspond to the natural world as Wood, the climactic condition of wind, the color green, the emotion of anger, the sound of shouting and a “goaty” odor. 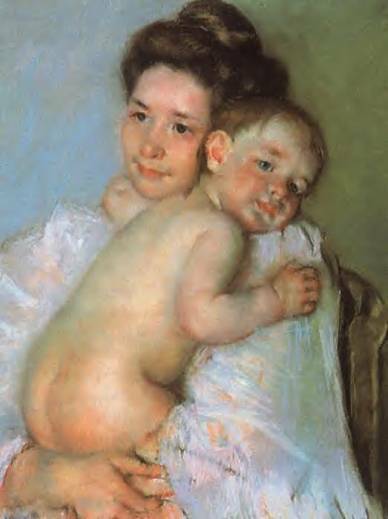 Their point of entry is in the eyes and the Qi of the Liver and Gallbladder are manifested in the sinews, joints and nails. Migraines reflect stagnation of Qi within the Gallbladder meridian. As the Qi is constricted pain ensues and vision can be affected as the Gallbladder and Liver Qi open to the eyes. Many people do not realize that they are sensitive to certain foods that can trigger a migraine. Some common offenders are processed foods high in MSG, and foods high in tyramine. Wikipedia lists the following foods that are high in tyramine: Meats that are pickled, aged, smoked, fermented, or marinated, most pork (except cured ham), chocolate and fermented foods, such as most cheeses, sour cream, yogurt, shrimp paste, soy sauce, soybean condiments, teriyaki sauce, tempeh, miso soup, sauerkraut, kimchi, fava beans, green bean pods, avocados, bananas, pineapple, eggplants, figs, red plums, raspberries, peanuts, Brazil nuts, coconuts, processed meat and yeast. Stress can release a cascade of hormones that prepare your body for fight or flight. Adrenaline or epinephrine acts as a neurotransmitter and a hormone. Adrenaline prepares the body for action by increasing the heart rate, blood pressure while slowing down some of the blood flow. Blood is drawn away from the extremities and abdomen and sent to the vital organs. Muscles often tense as they are prepared to spring into action. This is one reason the muscles of the jaw and neck can be extremely tight on people who undergo lots of stress. Constantly clenching your jaw (throughout the day or at night) puts a lot of tension on the Sternocleidomeastoid (SCM) muscle that inserts at the base of the head. This tightening creates a shortening of the muscle and therefore oxygen, Qi and blood flow are diminished. This tension can trigger a migraine. Occupational hazards such as sitting for extended periods of time or leaning forward can cause “slow whiplash”. As the head leans forward pressure is placed on the occipital muscles, which, creates a decrease in Qi and blood flow. This tension can cause or exacerbate migraines. Many migraine sufferers can report an acute situation when their migraines began. Often this can be a car accident, acute fall, post-surgery, sacral traumas like epidurals and broken coccyx bones. Migraines are often related to the fluctuating levels of estrogen. Triggers can be the sharp rise of estrogen at ovulation or the steep drop in ovulation before the menses. Synthetic estrogen and progesterone can trigger migraines. Visual changes and sensitivity to light as well as extended times viewing computer screens and other digital devices can trigger migraines. Light emanating from fluorescent bulb has a flicker that is imperceptible. Ever feel woozy in a mall? This is most likely from the visual onslaught of numerous fluorescent lights. 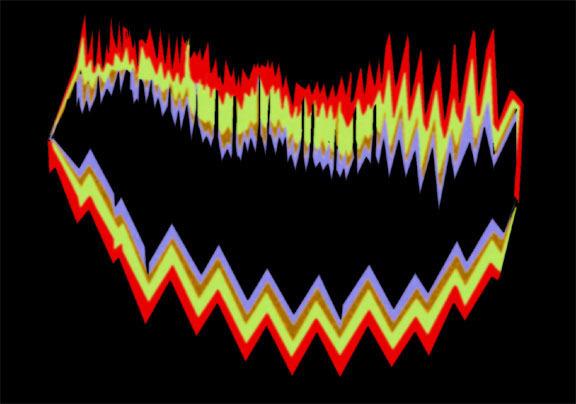 Migraines need to be evaluated based upon triggers, frequency, duration and intensity. Traditional Chinese Medicine looks at every aspect of the individual to determine the root of the condition as well as a clear strategy for treatment. It is important to understand the root of your personal situation. If you suffered a traumatic accident to either your head or sacrum CranioSacral therapy may be a valuable modality. Dr. Sutherland at the turn of the century discovered that the cranial bones are actually not fused. This is why an injury can “shift” or compress the nerve plexus and create continuous disharmony until regulated. Check out article on CranioSacral therapy for more information. Acupuncture and Herbal Therapy is an effective way to treat the source of tension in the body while releasing musculoskeletal constrictions. Acupuncture and herbal therapy can also help address underlying causes of stress and trauma to help individuals cope with stress more manageably as well as uncover new ways of being. Additionally, this modality can have a powerfully balancing effect of the endocrine system, which will help regulate ebb and flow of estrogen. A personal plan will be formulated to address your specific needs. Herbal therapy, dietary therapy, manual manipulation and acupuncture will be utilized to help reduce migraine frequency and intensity. Craniosacral Therapy is another tool to encourage physical, emotional and spiritual health through alignment the cranium and the sacrum. The brain is connected to the sacrum by the spinal cord, which creates the central nervous system. Cerebral spinal fluid is produced within the CranioSacral system and maintains the physiological environment in which your brain and nervous system develop and function. Just as the ocean has a tidal flow, so does the cerebral spinal fluid within the spinal column. The goal of CranioSacral Therapy treatment is to listen to this “tidal flow” and gently encourage the body to open up blockages, which cause pain, emotional conditions and diminished health. Often issues within the lower pelvis are related to compressions, or reduced flow, in the skull and visa versa. A classic example would be of someone suffering chronic headaches and migraines after a car accident or from the “slow whiplash” of working at a desk and leaning forward for many years at work. Often there is a subtle pressure of the nerves from posture that may not show up in a MRI. This in turn can affect the flow of blood, Qi and cerebral spinal fluid at the sacrum resulting in decreased function. CranioSacral Therapy is designed to listen to the dynamically changing physical body and encourage positive change. CranialSacral treatments are non-invasive and performed with the client fully clothed. Treatment begins with a general “listening” to the body’s flow of energy or cerebral spinal fluid with the hands at a minimal pressure. Then the practitioner will aim to relax the fascia, which is the fabric that holds muscles and organs in place. A gentle release may make the area feel lighter and less tense. The practitioner will spend quite a bit of time holding the head, gently facilitating the release restrictions in the head. One may experience a feeling of deep relaxation or one may feel nothing at first. Despite not feeling much at first, the results can be profoundly therapeutic resulting in improved range of motion, decreased pain and an overall improved sense of well-being. Many patients pair IVF treatments with Traditional Chinese Medicine. For those people, it is important to know some general traditional principles to help facilitate the process and make things easier and clearer. 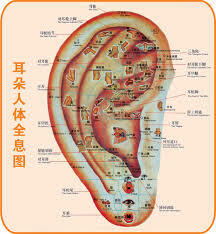 If you are one of these patients, in addition to your regular acupuncture regimen I would also suggest dietary therapy. Dietary therapy, which applies nutrition to treat conditions, will help to support each step of the IVF process. Some steps of IVF use medications to shut down or down regulate the ovaries. This can be to help synchronize your menstrual cycle and/or to help promote more follicular growth during the stimulation phase. Often women are prescribed Lupron or the birth control pill. In the case of Lupron or other antagonists, some women experience symptoms such as irritability, hot flashes, night sweats, and headaches. In Traditional Chinese Medicine we characterize these symptoms as heat. In order to stave that heat, a diet full of neutral and cool foods can help to cool the body and let off some steam. Some women are put on over-the-counter birth control pills. In Chinese Medicine, the pill can cause stagnation. Because of this, a diet based on foods that move the Qi and blood are recommended. Once you begin the stimulation portion of IVF you will need to make sure that you are adequately hydrated and that you are eating enough proteins and brightly colored foods high in anti-oxidants. During the stim phase of a regular IVF, most women are doing at least two injections – twice daily to stimulate the ovaries. During this time we suggest food that nourishes the follicles while reducing water retention and bloating. Along with water of course, I think that coconut water is a great and natural way to balance electrolytes in the body. You are asking your body to do a year’s worth of work in about 10 days so make sure you get enough sleep and hydrate, hydrate, hydrate. I personally prefer organic food or local farm raised food as the pesticides and growth hormones are minimized. Organic food is pricier but you are making an investment into your health. Fruits and vegetables nourish the follicles and support ovarian growth while reducing water retention. Coffee and alcohol – even decaf coffee can be drying for the body. You can, and also should, apply heat with a water bottle during the stimulation phase only. It is important to get a good night’s sleep before retrieval. A five minute guided meditation is a good way to say goodnight as well as start the day. Some women report feeling bloated after retrieval. Again, coconut water, Gatorade or even your own electrolyte drink will help regulate your fluids. You can also create your own drink with apple cider vinegar, maple syrup and water. During the next few days when you are awaiting transfer, it is very important to still eat well. Don’t fall off the wagon because the eggs have been retrieved. A diet rich in healthy fats, protein, grains, fruits and vegetables is highly recommended. Once you transfer, discontinue using the hot water bottle on your abdomen but sill keep your uterus energetically warm by consuming warm foods. Try to avoid icy drinks likes smoothies, ice cream and lots of cold raw foods. Pineapple is high in the enzyme Bromelain which has been used for thousands of years as a meat tenderizer. Bromelain is highly concentrated in the core of the pineapple. Studies have shown that bromelain can support implantation by relaxing the muscles of the uterine wall. Wives tale or not, pineapple is pretty easy to eat and for those of you who run very cold you can grill the pineapple on the barbecue. It is important to breathe deeply and try to remain as positive as possible. Set yourself a daily goal that is easy to accomplish. Try to turn in early and put your health as the number one priority. Eating well is just another way to thank your body and mind. Buzzy bodies: Health nuts high on healing power of honey – but does it really work? Health nuts are high on the healing potential of a special honey from New Zealand’s manuka bush. But is it really so sweet? 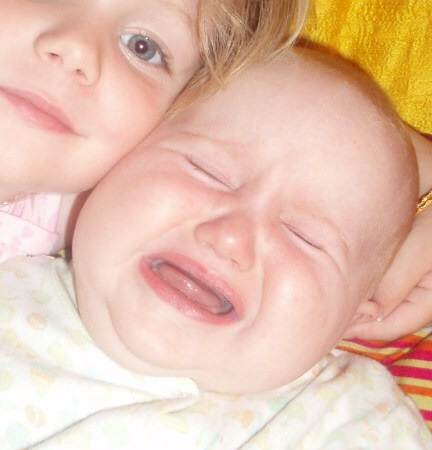 When daughter Lucia gets a scrape, Laurel Carroll opts for honey, not Neosporin. Earlier this year, Laurel Carroll was diagnosed with H. pylori, a type of bacteria that infects the stomach. Her doctor broke out his prescription pad, but Carroll had her own remedy in mind: honey, specifically manuka honey. Carroll is one of a growing number of people, in New York and elsewhere, looking to manuka honey to treat everything from acne to ulcers. Imported from New Zealand and long popular there and in Great Britain, manuka honey is thought to have unique healing properties thanks to a high concentration of methylglyoxal, an antibacterial agent, in the nectar of manuka bush flowers. Whole Foods stores in the Northeast began stocking manuka honey products about half a dozen years ago, and now offer as many as 15 varieties. “It’s consistently grown in popularity each year,” says Whole Foods public relations manager Michael Sinatra. At Perelandra Natural Food Center in Brooklyn Heights, co-owner Roland Auer has seen manuka honey fly off his shelves — almost literally. After his shop kept running out of the pricey bee food — which the store sells for $33.59 to $39.99 for a 17.6-ounce jar — he realized that customers were stealing it. Now he stocks it behind the vitamin counter, where it’s safe from sticky fingers, but it’s still a hot commodity. Given its high price, “it’s a very popular item,” Auer says. Carroll buys her manuka honey online and estimates that with herself, her husband and their two daughters, the family goes through a $50 8-ounce tub every month. She ingests a spoonful each day for general health, as does her husband, Stewart Carroll, 41. With their daughters, Lucia, 7, and Saachi, 5, Laurel uses manuka regularly to treat their cuts, scrapes and warts. “Clearly, with any kind of scab or abrasion, the first line of defense is honey,” she says. The whole family uses a special toothpaste made from manuka honey and propolis, another bee product, and Carroll tries to get her girls to ingest a spoonful of honey as often as possible, though the kids don’t like the taste. “It smells like hydrogen peroxide,” she admits. Still, some caution that the honey might not be a magical cure-all for everything. “I don’t ingest manuka honey and I don’t recommend it,” says Nathaniel Altman, author of “The Honey Prescription” and a Park Slope resident. Cymone Speed, 33, loves eating manuka honey, not for the alleged health benefits but because she enjoys the unique taste. Speed has also used the honey as an acne wash for the past two years and says it’s made her skin soft and dewy. The traditional medical establishment is even taking note of manuka honey’s potential healing powers. Dr. Michael Lanigan, medical director of the SUNY Downstate Medical Center, says that while he hasn’t seen any of his patients helped by the honey, the research on it is intriguing, especially for treating burns. While he says the studies don’t appear to be conclusive at this point, he also notes that many popular, common medications have never been fully proven to help people. That’s how Laurel Carroll seems to feel. The stomach infection she originally started taking manuka honey for turned out to be a false positive. When her older daughter had a nasty sore throat in the spring, she had her take spoonfuls of honey every few hours, and believes she recovered more quickly because of it. But for the most part, she says, she can’t pinpoint feeling noticeably healthier since she started using the honey. I must admit I am Honey Crazy or as my 7 year-old daughter would say “Honey Cray Cray”. Spending $50 on a container of honey seems perfectly justified. I mean, my number one priority is health and Honey is my medicine. I love the creamy, raw kind that leaves bits of wax and other flotsam in my tea. I’ve always heard about Manuka Honey but a recent diagnosis of asymptomatic H Pylori in my yearly bloods gave me the perfect excuse to try this top shelf varietal. In the health food store Manuka honey is often stored behind the counter or locked in a glass case. I’m not talking about Krylon cans at the hardware store or jewels at Tiffany’s, this is medicinal grade honey from the Manuka Tree from New Zealand. Manuka honey appears to have a touch of magic inside. From all I’ve read it’s clear that they really cannot pinpoint exactly why Manuka Honey has such a strong antibacterial quality. This stuff is one of the only substances that has been proven effective against the deadly and antibiotic resistant MRSA virus. Truly. This small, flowering shrub goes by many different names including Manuka, Kanuka (a close cousin of the Manuka tree), Leptospermum scoparium, Tea Tree or Jellybush. 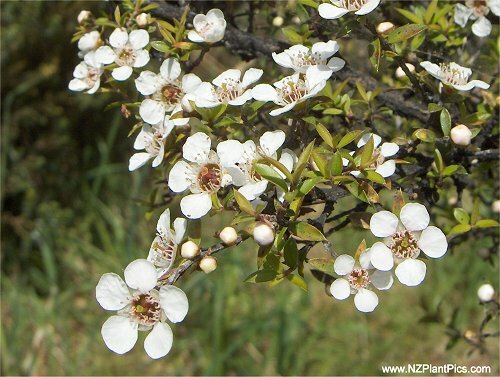 Manuka is the traditional Maori name for the shrub. Hives are placed within regions that have flowering Manuka Trees. Although it is impossible to police the whereabouts of bees, Manuka Honey is tested and must maintain at least 70% of its source from the pollen of the Manuka Tree. 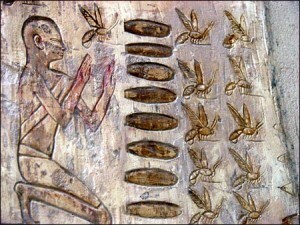 Honey has been used for thousands of years as a topical antibiotic treatment from Ancient Egypt through World War II. The popularity of antibiotics decreased the popularity of honey as topical medicine until the rise of antibiotic resistant strains of bacteria like MRSA. This age-old remedy is rising in popularity again. Manuka Honey has been shown to have hydrogen peroxide which stimulates the growth of cells responsible for replacing damaged tissue. The plant based hydrogen peroxide in Manuka Honey also stimulates the development of new blood vessels which is an important step in tissue regeneration. Manuka honey also contains MGO (Methylglyoxal) which is responsible for Manuka honey’s stable antibacterial activity and is not as sensitive to light and heat like hydrogen peroxide. Some research finds that the sugar in honey also helps reduce odor from a healing wound. The honey not only fights infection and aids tissue healing but has been found in clinical trials to reduce inflammation and scarring. The most common wound-infecting species of bacteria, Staphylococcus aureus, has been found to be particularly sensitive to this honey. 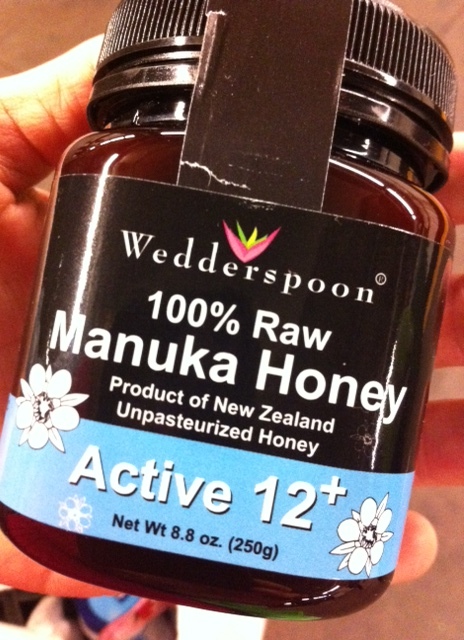 Recent tests on many strains of multi-antibiotic-resistant bacteria such as MRSA have no resistance to Manuka honey. Manuka Honey has a very specific almost medicinal taste. 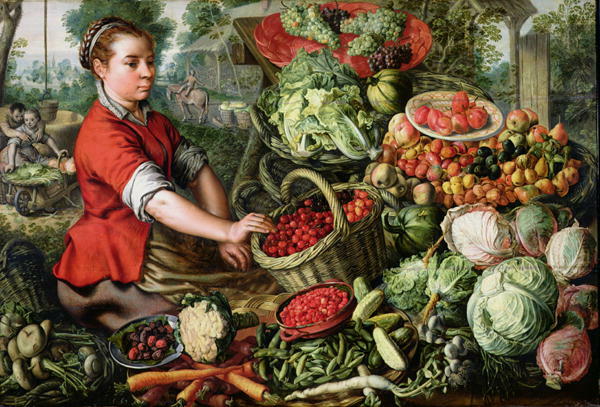 which has been characterized as, “earthy, oily, herbaceous”, and “florid, rich and complex”. Other qualificatives used by the New Zealand honey industry are, a “damp earth, heather, aromatic” aroma and a “mineral, slightly bitter” flavor. For the treatment of GI complaints including H Pylori the suggestion is eating one teaspoonful of honey with a small piece of toast or a cracker half hour before meals three times daily. The food helps slow the honeys absorption into the blood stream. Topical usages include spot treatments on acne and abrasions. For deeper wounds apply Manuka Honey and wrap with gauze bandages. Change dressing three times daily. Although honey has always been touted for its antibacterial qualities Maunka Honey exhibits stronger healing power which is graded by its UMF or MGO. Manuka honey is so valuable that a grading system was implemented to classify its healing powers. This grading system also enables people to buy Manuka Honey in varying degrees of potency as well as expose people trying to sell knock-offs with much less medicinal value for inflated prices. The UMF® testing procedure, known in the industry as the non-peroxide test, was established by Professor Molan. The name UMF® is followed by a number that indicates the strength of its UMF® antibacterial property in a batch of UMF® Manuka Honey tested in the licensed laboratory after the honey has been packed. The UMF test involves comparing the performance of a Manuka honey sample on Staphylococcus aureus to Phenol, a common antiseptic. This test is the more standardized way to test the antibiotic content of Manuka Honey. This means that a honey with a UMF grade of 20+ is equivalent to a 20% solution of Phenol. All Manuka Honey that has a rating of 10+ is considered Active Manuka Honey. MGO Rating is a system for testing the level of Methylglyoxal in Manuka Honey. The higher the MGO rating the more powerful the antibacterial power. 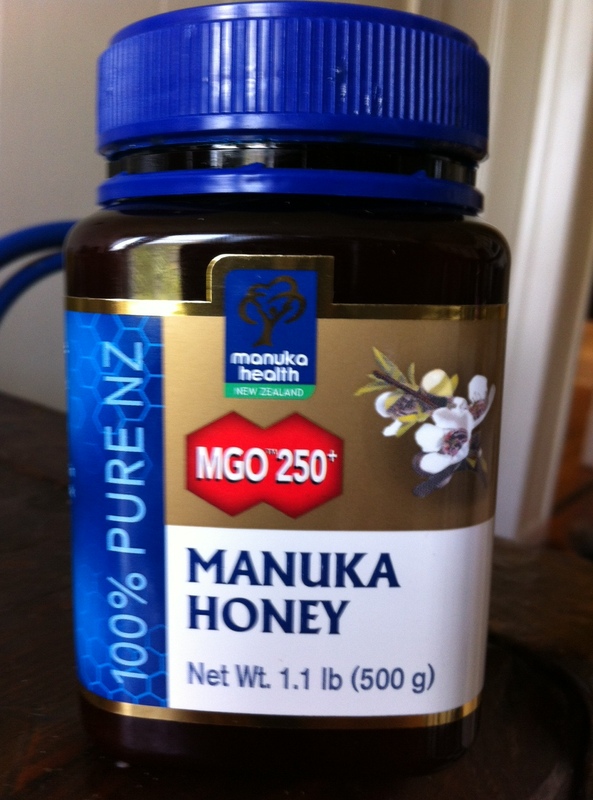 Manuka Honey MGO™ 100+ is the minimum Methylglyoxal (MGO™) content required to help kill many of the major bacterias. This is equivalent to UMF®10. Therapeutic values are generally over 10+ UMF. Some more serious conditions require 15+ or even 20+ UMF. Both the Manuka and Kanuka plants have historically been used by Maori and early European settlers for medicinal purposes. This use includes using the bark as a poultice, for colds, for flu, and stomach aches. Ashes of mānuka were rubbed on the scalp to cure dandruff, Mānuka branches were used to splint broken limbs. Leaves were put in a calabash with water and hot stones, and the liquid was drunk to ease a fever. The bark was boiled in water, which was drunk to cure dysentery and diarrhoea. I spent a week eating Manuka honey as prescribed 3x daily with a spoon while I waited for the H Pylori breath test results (the breath test is more conclusive than blood work). The results came back negative which meant I was fine all along! Through all this research I stumbled up Sidr Honey. This honey is from the Ancient and Mystical Sidr Tree in Yemen and is the most expensive honey on the planet. Let’s just say my curiosity is piqued. Stay tuned as I bring you some info on Sidr Honey, the Louboutin of all Honeys….YUM!